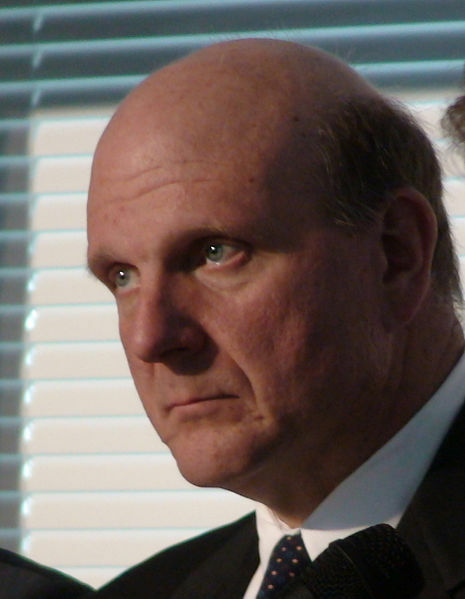 Steve Ballmer leaving Microsoft, fired? On Friday, August 23, Microsoft announced that Steve Ballmer, the CEO, will leave the company within the coming 12 months. A committee has been formed to look for a replacement. The well known and often colorful CEO in his way of expressing himself is now leaving Microsoft, which was announced on Friday, August 23. Currently, a committee, with one of its members being Bill Gates, has been formed which will look for a replacement. Steve Ballmer is expected to remain the CEO until such a replacement has been found. Rumors have already started to flourish regarding the reasons behind Steve Ballmer's exit. After all, since the year of 2000 when Steve Ballmer was appointed the CEO as a successor of Bill Gates, the revenue of the company has been steadily increasing and in general the company has done very well. Since Microsoft very seldom publicly announces their plans to look for a new CEO, many analysts conclude that this must mean that the board has made a rather prompt decision, and in addition publicly stating the deadline of 12 months as the longest period of time before a replacement is to be in place. While the exact reasons behind Steve Ballmer being fired may not ever be revealed, it is of the general consensus that the massive failure with Microsoft's market strategy toward the mobile market heavily influences the decision of the board. The best example is probably the Surface RT product and the corresponding Windows RT operating system which both have been massive failures with one partner after the other leaving the Windows RT scene. Ballmer has left a message to the employees of Microsoft indicating that the decision to leave the company was not his idea, but concludes that it is the best thing to do given the present situation, although he still holds Microsoft dear in his heart. It will certainly be very interesting to follow up on Microsoft's quest to find a replacement for Steve Ballmer, and hopefully this will always change the company's strategy regarding the mobile devices sector and actually bring products that consumers and partners are willing to invest in!